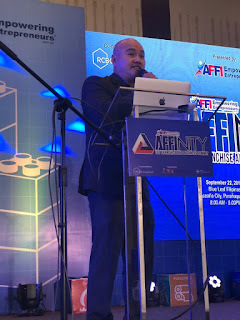 RCBC Savings Bank (RSB) has reaffirmed its commitment to support Filipino entrepreneurs at the AFFINITY 1st Franchise and Business Summit 2018. 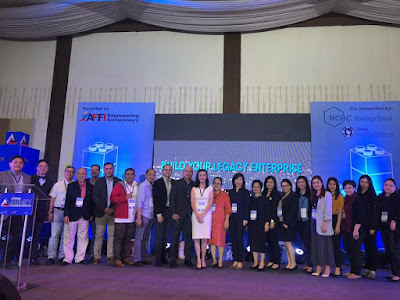 Organized by the Association of Filipino Franchisers Inc. (AFFI) and co-presented by RSB, the summit invited start-up business owners, franchisors and franchisees to a series of coaching sessions and sharing of best practices featuring well-known industry experts. “RCBC Savings Bank and AFFI share the same vision of building up SMEs, more importantly Filipino entrepreneurs, and ensuring their success. That is why it is important to have all the good mentors you can get to help you in this journey. RSB is one of them,” said Elmer Aquino, RSB national product head for SMEs. Aside from supporting the business summit, RSB will also collaborate with AFFI to develop an SME loan geared towards the entrepreneurs’ unmet needs. Since January 2018, RSB has been conducting a series of Grow SME forums nationwide, aimed to empower and mentor aspiring entrepreneurs and small business owners with the right entrepreneurial mindset and financial management. RCBC Savings Bank (RSB) is the consumer banking arm of Rizal Commercial Banking Corporation and a member of the Yuchengco Group of Companies. It is one of the country’s leading thrift banks, with over 150 business and lending centers nationwide. Retail financing services include deposit and investment products, as well as auto and housing loans. For more information on RCBC Savings Bank, visit www.rcbcsavings.com. 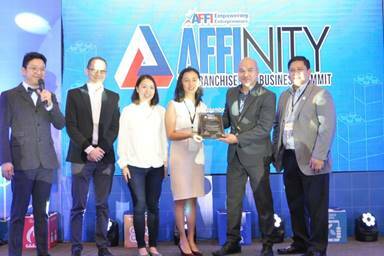 RSB vice president and national product head for SMEs Elmer Aquino receives a plaque of appreciation from AFFI president Marie-Joyce Co Yu during the AFFINITY 1st Franchise and Business Summit 2018. Joining them are (from right) AFFI chairman Enrique Pablo Caeg, corporate secretary Jelyn Chung, and vice president for Education Jose Carlos Martinez.